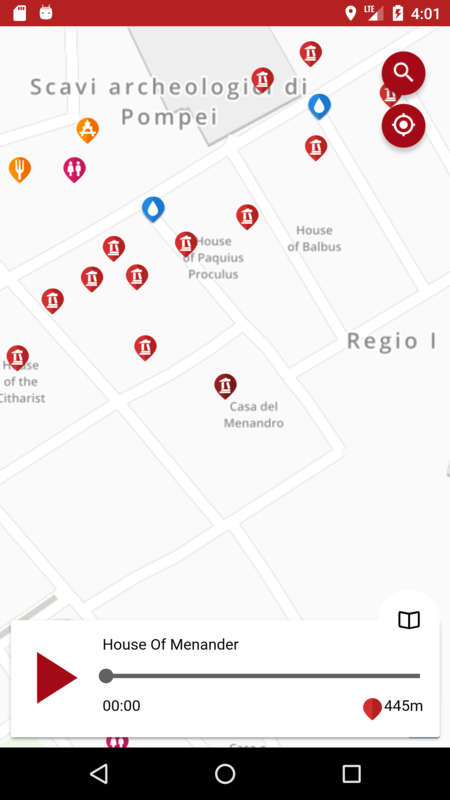 The Best Pompeii Audio Guide & Offline Map, For Android. 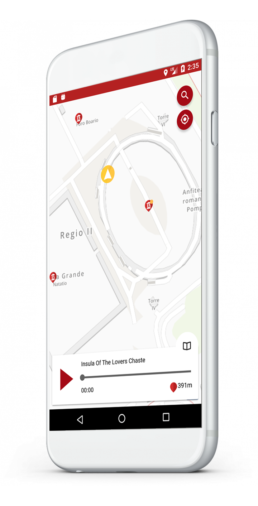 More than a map, more than a audio guide, it’s your personal tourist guide. 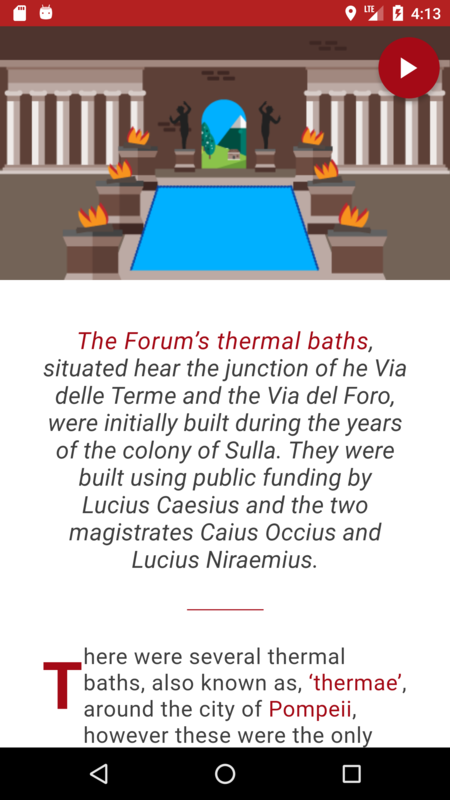 Let us guide us trough the ruins of pompeii, with more than 6 hours of audio guides DiscoverPompeii is the ideal tour companion. 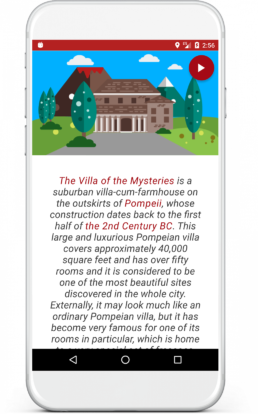 The official audio guide can be expensive.DiscoverPompeii is Free: No ads, no tricks! We just want everybody to enjoy Pompeii at its best! 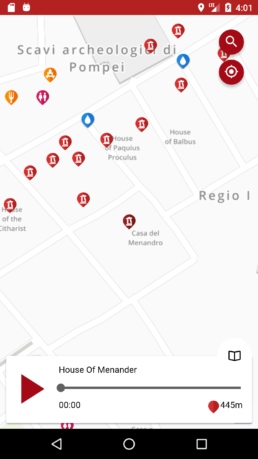 Pompeii excavations are big, and sometimes it’s easy to get lost. 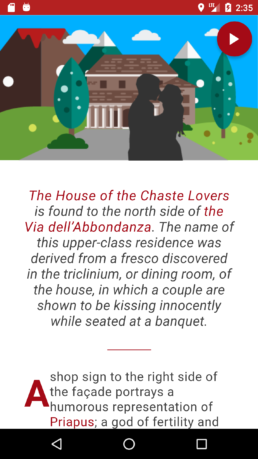 Not anymore, with DiscoverPompeii Map. Don’t know what you have in front of you? Wonder no more! Our audio guide will satisfy all your curiosities, with more than 6 hours of audio guide. 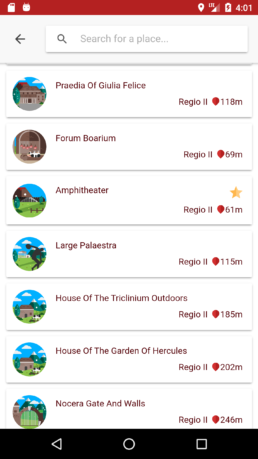 DiscoverPompeii is 100% offline, so that you don't have to worry about roaming costs or slow internet connection. 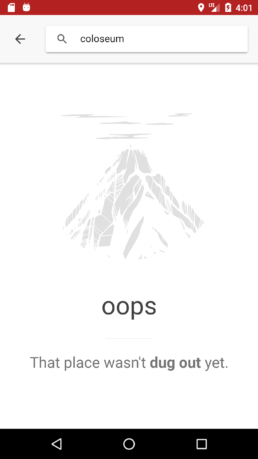 Not only ruins and monuments. Need a bathroom? Thirsty? 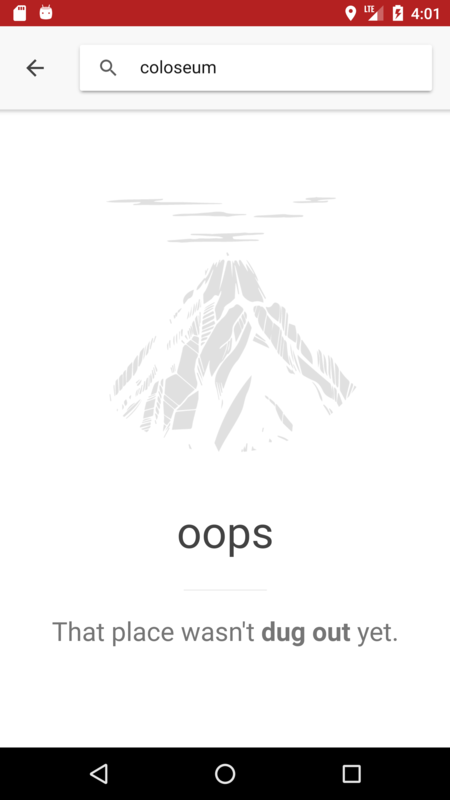 Find the closest toilet , drinking fountain, we show you the way! 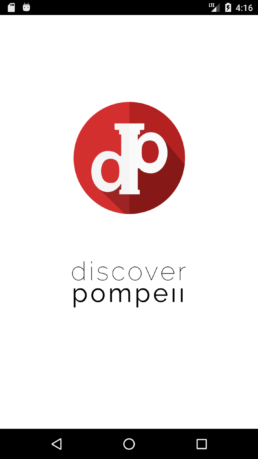 While we translate DiscoverPompeii in your language, our audio guide is simple and clear. For native and non-native english speakers. 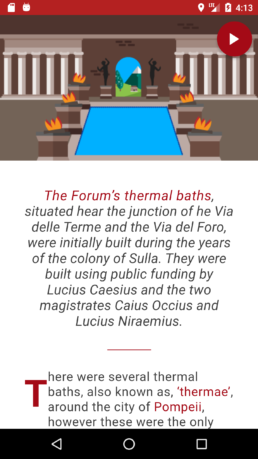 All you need to know about Pompeii and more! Still planning your holiday? Download DiscoverPompeii now, and save the roaming costs!